Sun., April 9, 2017, 5:30 a.m.
BICYCLING – A Montana lawmaker is being criticized for inflicting his disdain for bicyclists on a bill tackling the serious issue of aquatic invasive species that have been detected in Montana waters. Senate Bill 363 aims to generate $11 million over the next two years to double the number of watercraft inspection stations, check all out-of-state boats and implement mandatory decontamination at two reservoirs. Meanwhile, Sen. Scott Sales (R-Bozeman) introduced an amendment to put a $25 fee on out-of-state bicyclists if they pedal into Montana. Sales previously had criticized cyclists on the state senate floor in Helena, calling them “rude” and “self-centered” for his perception of their unwillingness to share the road. He reported receiving criticism, some of it nasty, to his statements from cyclists. Bicycle advocates point out that cyclists must ride in the road lanes in some cases to avoid dangerous conditions on shoulders. And like slow-moving farm equipment, bikes have rights to be on the road, they say. Sen. Jill Cohenour (D-East Helena) had questioned the seriousness of the bicycle fee amendment before it passed 26-24, reports the Independent Record. The bill to fund Montana’s fight against aquatic invasive species, as it stood on Friday, includes a $15 increase to the price of a nonresident fishing licenses and a new fee for out-of-state bicycles, but drops decals for motorized watercraft, which are known conveyors of aquatic invasive species. 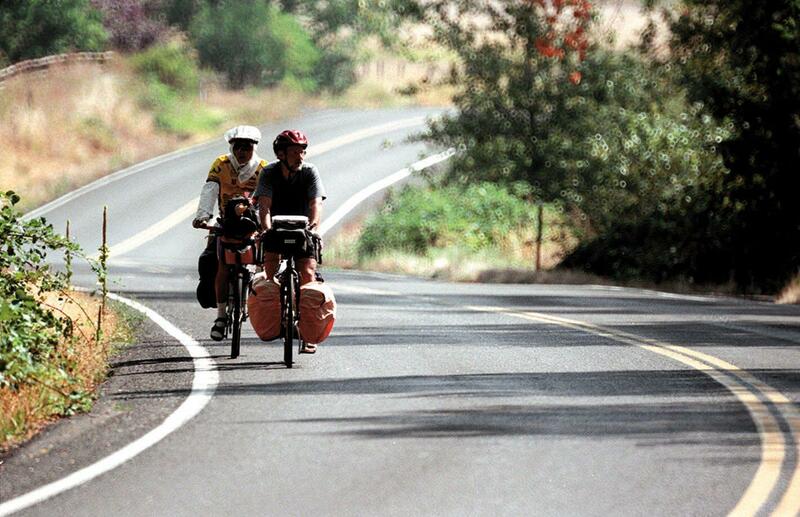 Dropping the boat fee and leaving the bike-fee amendment has raised the ire of state and national bicycling groups and generated negative press for the state, according to Montana Public Radio report. Some senators who voted for the measure call the amendment a mischievous lawmaker joke. Democratic Gov. Steve Bullock said Thursday he doesn’t get the joke. “I don’t think it’s comic relief and I’m not sure what Senator Sales has against bicyclers,” Bullock says. Bullock told Public Radio that hundreds of thousands of out-of-state cyclists contribute millions of dollars every year to Montana’s economy. “There is a real threat to our outdoor economy from aquatic invasive species and we need to address it, but we shouldn’t compound that threat by attacks on out-of-state bicyclers,” says Bullock. Sales doesn’t back down from his earlier comments that some cyclists are self-centered and rude. Sales says his $25 license amendment was a direct response to his most hostile critics. “In jest to some degree, and just to poke them in the eye from some of those folks I’ve heard from out of state, I slapped that amendment on there,” Sen. Sales told Public Radio. Ginny Sullivan of Missoula-based Adventure Cycling says rude comments and behavior to lawmakers is never OK. But she said she was perplexed that a legislator would make a joke of a serious bill and an important segment of Montana tourism. The Art in Birding, by Catherine Temple, on Tuesday at 7 p.m. at Lutheran Church of the Master, 4800 N. Ramsey Rd., Coeur d’Alene, for Coeur d’Alene Audubon. Spokane River: Urban Rewilding, by Paul Lindholdt and Greg Gordon, on Wednesday at 7:30 p.m. at Riverview Retirement Center, 2117 E. North Crescent Ave., for Spokane Audubon. Idaho Cutthroat Streams, plus Washington trout season forecast, with fly fishing guide Sean Visintainer on Kelly Creek and state fisheries biologist Randy Osborne on far Eastern Washington trout lakes, on Wednesday at 7 p.m. at St. Francis School, 1104 W. Heroy, for Spokane Fly Fishers. Annual Fishing Event, at The Fishing Hole, 1330 N. Argonne St., on April 15 features free seminars on spring chinook at 1 p.m., and Flipping and Pitching for Bass at 2:30 p.m. Published: April 9, 2017, 5:30 a.m.